Can handheld provide a filip for Sony? PS Vita - going to be a hit? 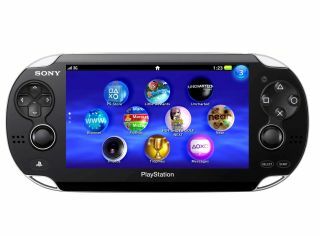 Around 12.4 million PlayStation Vita handheld consoles will be sold in 2012, according to a forecast by Strategy Analytics, bringing a much needed boost for Sony revenues as people rush to buy games for the device. In what has been a tough recent era for Sony, the need for a hit is clear and as TechRadar's PS Vita review shows, its latest arrival could have the quality necessary to be just that. Strategy Analytics believes that sales of 12.4 million Vitas are possible this year, if the device gets a price cut at some point during that period. "The real value of the PlayStation Vita is its drive for content revenue growth and its strategic position in Sony's entertainment ecosystem, stated Jia Wu, Senior Analyst for Connected Home Devices at Strategy Analytics . "The PlayStation Store will have a vital role in selling games, videos and other content through its online access. "We believe that PlayStation Vita will cause Sony's 2012 portable console software revenue to grow by $800 million compared with 2011. "Although it's too small a device to turn the company around in terms of financial contribution, we expect it to bring in $2 billion incremental revenue from both hardware and software sales in 2012." However, the forecast is not all good - as well as pointing out the need for a speedy price cut for the PS Vita, Sony's handheld will come under increasing pressure from phones and tablet. "To survive the march of smartphones entering the casual gaming space, Sony needs to achieve the Holy Grail of inventing innovative new gameplay whilst at the same time investing heavily in exclusive content," adds Jia Wu.